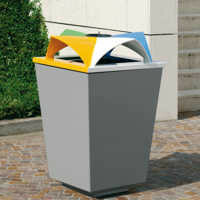 Recycling bin for mixed waste. 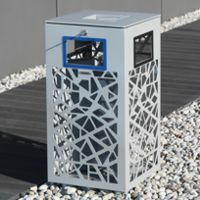 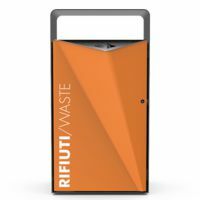 Powder coated steel outer structure and openable aluminium cover with three holes of different colours to sort the waste. 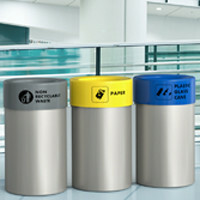 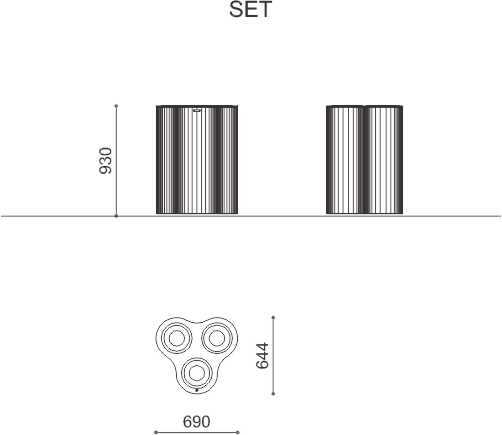 Each section is equipped with an internal metal sheet container.